A unique and exquisite heirloom piece is sure to be a piece that will be treasured for generations to come. Genuine mother of Pearl is wrapped in bright sterling silver heart shaped bezel frame. 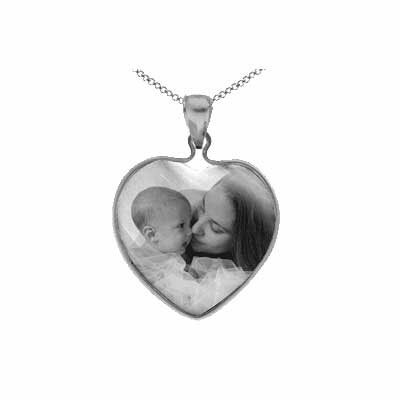 Personalize it with a special photo of your choice.Pendant measures approximately 1 inch. We guarantee our Mother of Pearl Black and White Photo Jewelry Pendant in Sterling Silver to be high quality, authentic jewelry, as described above.